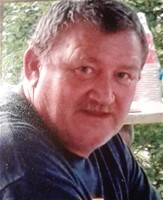 George "Skip" Barnes, 55, of Elizabethtown, died Sunday, February 3, 2019 at Hardin Memorial Hospital. He was native of Elizabethtown where he was a stay at home dad. He was preceded in death by his parents, Thomas J. Barnes, Sr. and Valasta Barnes; a brother, Thomas Barnes, Jr.; and two sisters, Phyllis Carol Rugzie and Della Faye Barnes. He is survived by his wife of 14 years, Shannon Barnes; daughter, Mackenzie Barnes; step-daughter, Allison Waddle; two brothers, Vernie Barnes and Eric Barnes; four sisters, Sue Daugherty, Lavon Cundiff, Dianna McClease, and Lora Wiseman; two grandchildren, Abigail and Lillian; and several nieces, nephews, great nieces, and great nephews. A Memorial Service will be at 1 p.m. Friday at First Church of the Nazarene. Visitation will begin at 12 p.m. Friday at the church. Condolences may be expressed online at www.brownfuneral.com.